This trio of shawls, much less a single one of these shawls, were never really supposed to happen. This summer when my Mum came to visit we decided to take a trip to a cute LYS down the road from me. the Knotty Lamb, since my Mum is now an avid knitter and wanted to see what my shops have to offer (she lives up in Canada). I spied some lovely Tot le Matin Tot Sport yarn and decided to treat myself to 3 skeins - enough to make a really lovely-sized shawl. My intent was mindless garter knitting - something to throw over my shoulders every day, all day, during the damp Oregonian winters. And then I asked a question about my color choices on Instagram. The rest is, as they say, history! Version 1.0 is, as you might guess, the original inspiration for the collection. 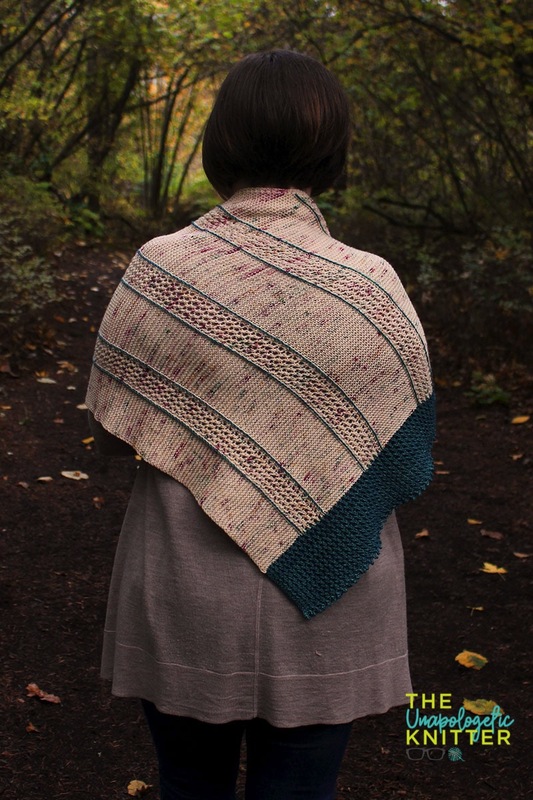 I had originally considered working this shawl in 3 colors, shifting from lightest to darkest across the shawl, but felt that it didn’t do the stitch pattern and shape any justice. When I took to Instagram, I received a ton of wonderful feedback that led the creation of the remainder of the collection. My favorite part about this first shawl is the use of a new (to me) bind off, the Icelandic Bind Off, which is ridiculously garter-friendly. I’ve even created a new video tutorial showing you how to work the bind off: check out my new Icelandic Bind Off tutorial. 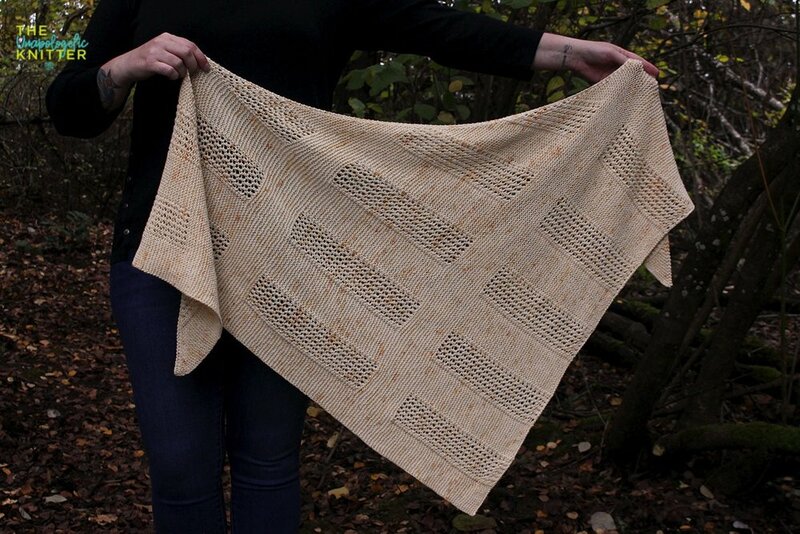 V2.0 seemed like a natural progression for me - I loved the shape and wearability of V1.0 but wanted to add a pop: not just to the border of the shawl but highlighting the columns of lacework. This embroidered column effect adds some wow-factor. And, of course, I created a new video tutorial for this beauty, too: check out the Highlighted Ladders video tutorial on my YouTube channel. V3.0 allowed me to realize my desire to shift colors across a fall-like palette, while adding a new shape to the collection that seemed more appropriate for a change of colors like this. The added collar allows you to keep your neck warm as you drape the shawl over your shoulders, or wrap it entirely like a cape-let. I’m so excited about this little collection - it’s my first real collection that shows a range of my ideas and I’m quite proud of it. 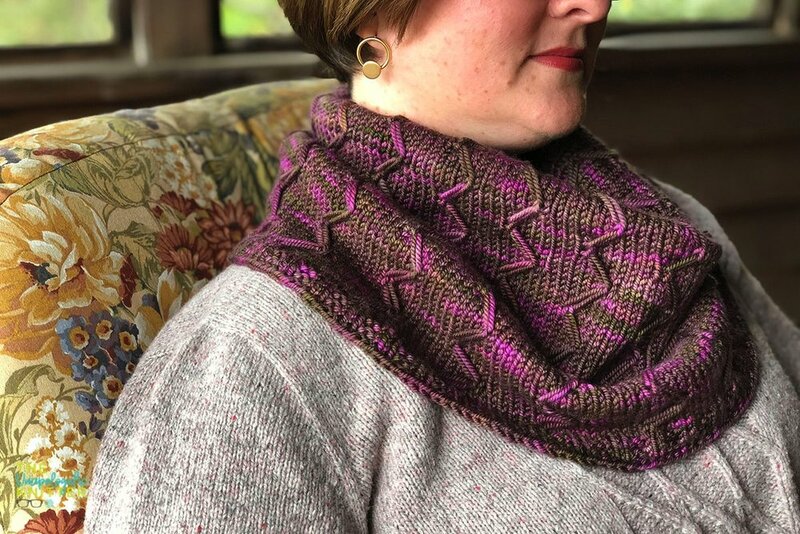 Working with the Tot le Matin yarns was a true joy and I think you’ll find that a variety of her colors work very well for either color a 2-color or 3-color shawl. It’s pretty easy (in my humble opinion) to select one color for Version 1.0 - ANY of her colors! To celebrate the release of this collection, I’m doing a pretty exciting little sale over on Ravelry (unfortunately, not yet on my website as there appears to be an issue on the developer end and I can’t load my new patterns there… sniff). Seems to me you could get a lot of holiday knitting done… just sayin’! Thank you so much for coming by to check out my latest creations. I love them so much and I hope you, do, too! OK, October… enough with you! I spent what felt like the entire month on the sofa knitting away on various new designs, unable to share many of them until now. But oh baby am I sharing! 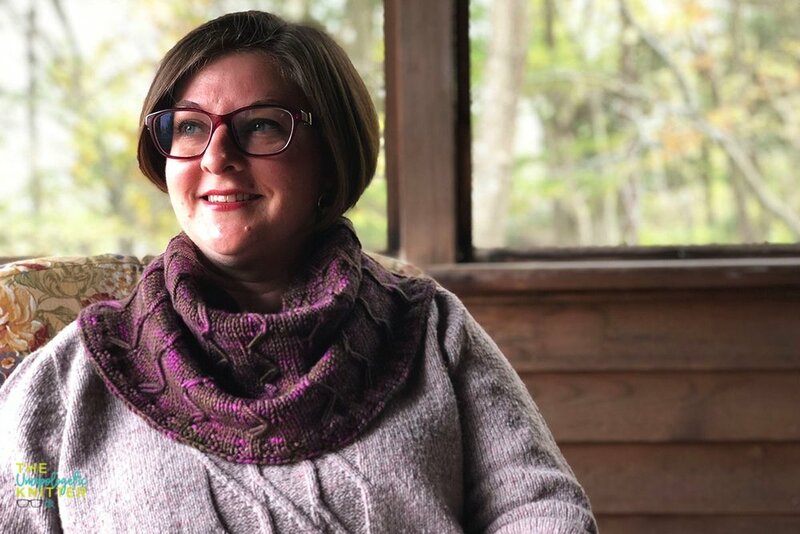 I’m so excited to be sharing today’s new release, designed in collaboration with Blue Moon Fiber Art’s Plushy - a super squishy heavy worsted weight superwash merino that feels like a hug when it’s around your neck! 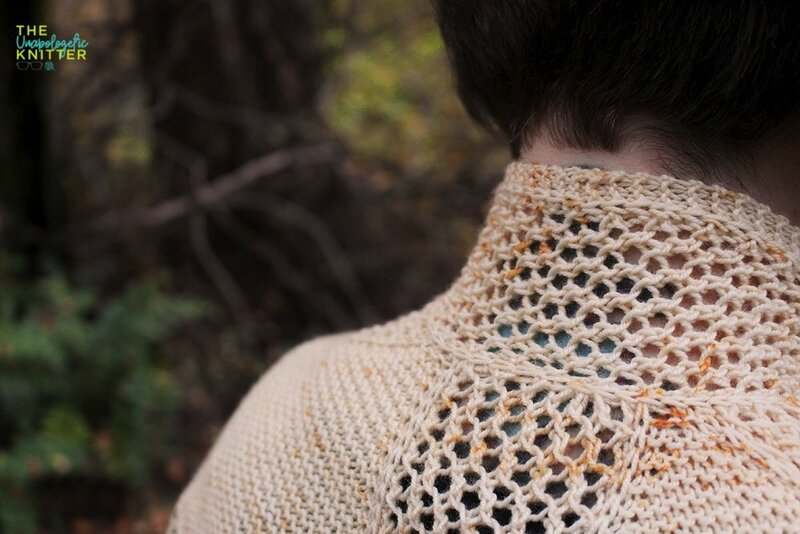 This luscious no-so-little cowl checks a lot of boxes for me as a rather picky knitwear wearer. It’s heavy so it feels like it’s doing it’s job of giving me some warmth. It’s tapered so it’s sits non-fussily around my neck and creates a collar-like look. AND?! It’s mostly stockinette in the round which is definitely my jam. ‘**Caveat about this yarn discount: it can only be applied to the yarn order at the time of purchase - there is no post-purchase request for the discount on the yarn so please be sure to have the code ready at checkout! 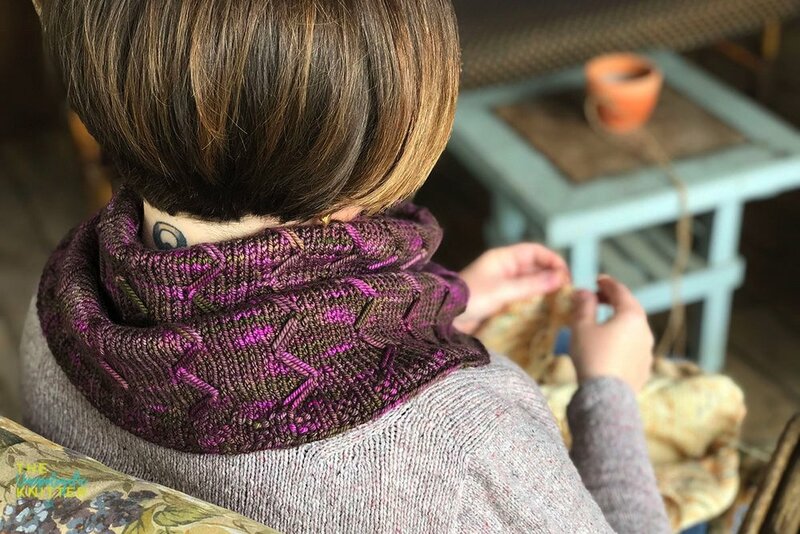 My favorite style of cowl is a tapered cowl that slouches comfortably for a nice warm pile of wool around my neck, but also flares out a bit for a collar-effect. 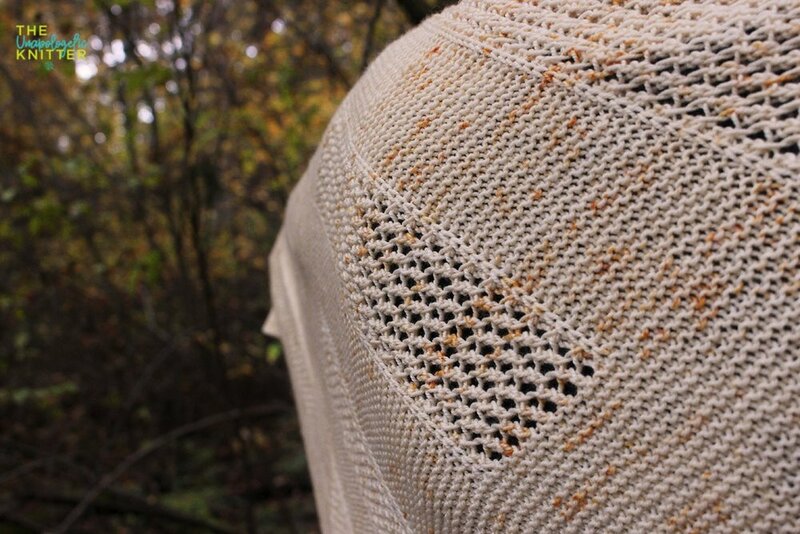 This cowl checks all those boxes - and looks lovely, to boot! This cowl is worked in the round from the top-down, with increases worked at even intervals to create the tapered shape. Written instructions are provided for the entirety of the cowl. Charted instructions are provided for the Cowl Body. Note that the length of needle cable used will change as you work the cowl. The shortest, 16” / 40 cm length, was used for the cast on, the Top Band and the first section before the first set of increases is worked. The longer cables were used as the circumference of the cowl increased. Use the length that feels most comfortable. Save on the pattern. Save on the yarn. Make a ton of gifts for your loved ones for this upcoming holiday season and just ROCK YOUR CABIN ROSE!